Training has never been so much fun! 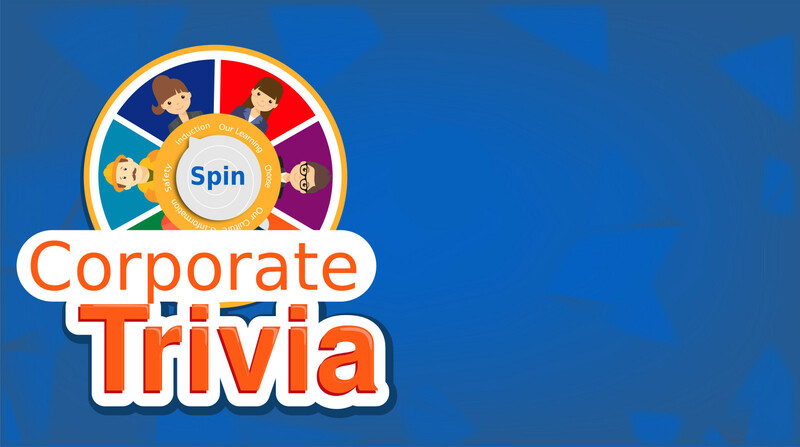 Corporate Trivia is a game that can work as a stand alone application or within an LMS. It will help engage your staff as they compete on score answering questions related to your training material. A major challenge when training large amounts of people in a corporate setting is making sure that your learners are engaged and remain engaged. For learners to succeed in a corporate environment, content and delivery needs to be meaningful and relatable. But let’s face it! Learners need to see something new, something different from typical eLearning - a group of pictures and text on the screen along with narration.We now know that gamification in eLearning results to the wanted reaction and the engagement of the learner. Better information retention, greater motivation, and increased productivity are the direct results of game-like eLearning content. Challenges learners to answer questions organized in categories to get score and collect the category avatar. Provides self study material (Short videos, and PDF’s) in case the learner needs to master a certain category of questions and claim it's avatar. Learners will get 6 lives (tries) every 12 hours. Each live will allow them to answer as many questions as they can go through as long as they get it right. Each question can be answered in 30 seconds. If the learner does not select an answer or if they select the wrong answer; they will lose a life! Corporate Trivia makes it a easy to deliver engaging learning experiences your people will enjoy. Insert as many Multiple choice questions as you want. Organized into 5 categories of your choice. We will custom design 6 characters to accurately represent each questions category and reflect your corporate culture. 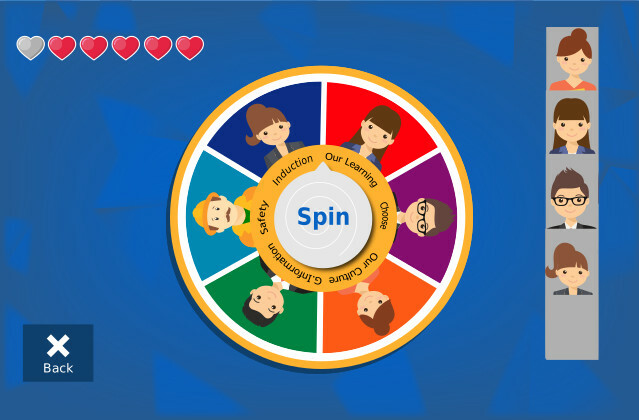 This category when landing on the spin wheel will allow the learner to choose any of the 5 available categories of question. Track the learner's progress and achievements throughout the game and learning directory with detailed reports at every level.